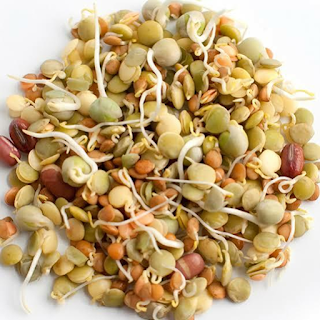 Sprouts are considered a great -food because these germinated seeds and grains have nutrition rich value. Sprouts improves our immune system to protect us against various types of diseases and purify the blood. 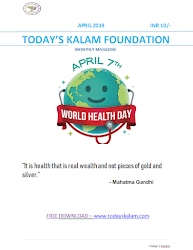 If we add sprouts in our daily food, then we escape from so many diseases. The grains have the best nutritional value when they are in the stage of seedlings. The sprouts consist an enriched concentration of nutrients like Vitamin E, potassium, vitamin C , iron, phytochemicals, antioxidants, bioflavonoids and protein. 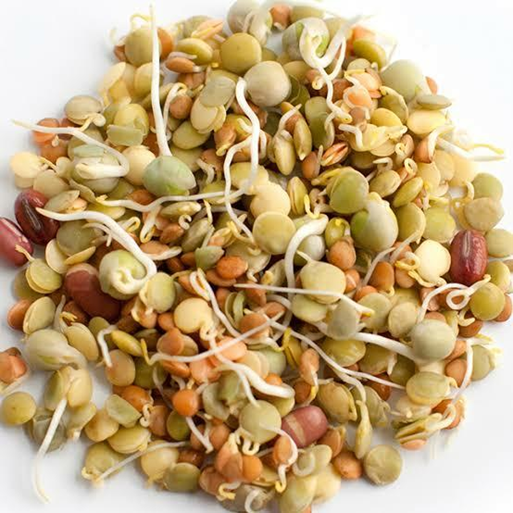 Sprouts also contain other kind of nutrients like folic acid, zinc, niacin, riboflavin, copper and magnesium. These protein rich sprouts gives several health benefits. Improves hair growth. It prevents a different types of hair disorders like hirsutism, alopecia and even male pattern. Sprouts provide a good blood circulation. The abundance of vitamin A in sprouts is more. So it improves eyesight. Sprouts are a great source of Antioxidants. The sprouts contain Vitamin K which is a fat soluble vitamin. The sprouts contain ample amounts of iron. The sprouts help to monitor the blood sugar levels, people with diabetes type 2 get more benefits. The sprouts prevent heart related diseases. It may also prevent the premature of aging. It contains rich omega3 fatty acids.